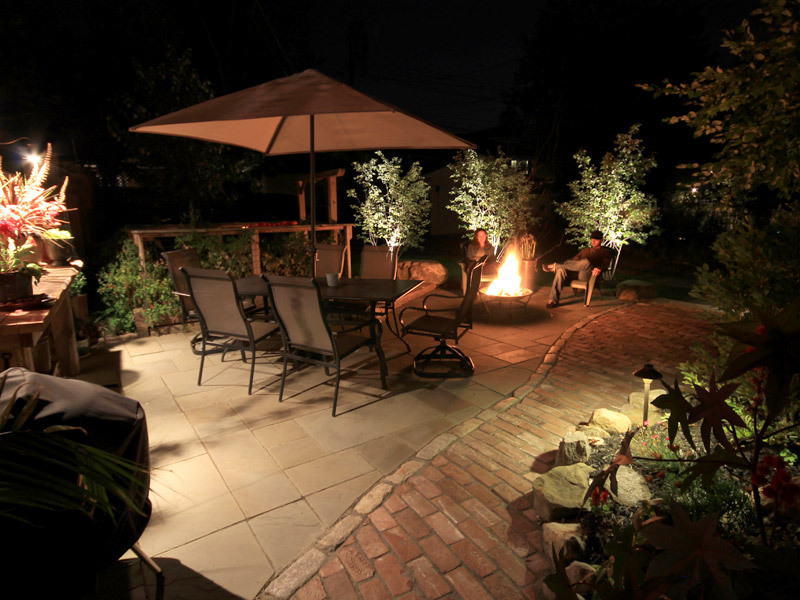 Flagstone patio and reclaimed street paver walkway. 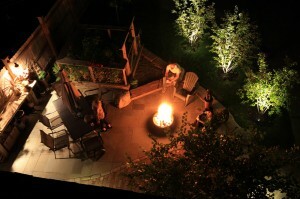 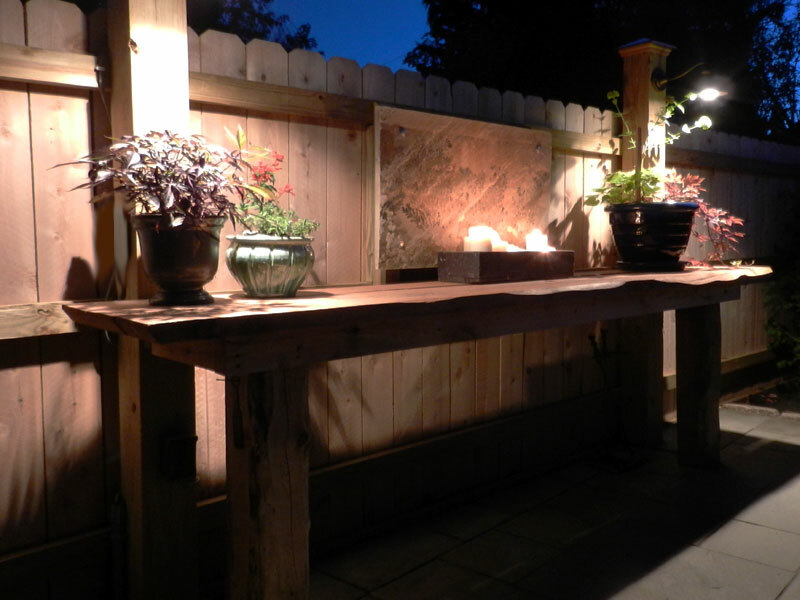 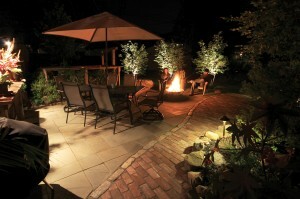 The outdoor space is a welcoming night time area featuring a fire pit and low voltage lighting. 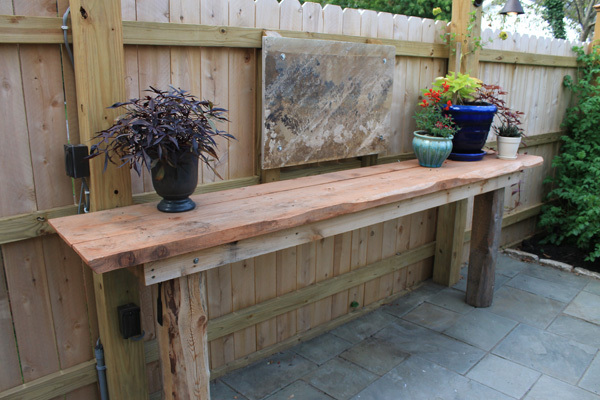 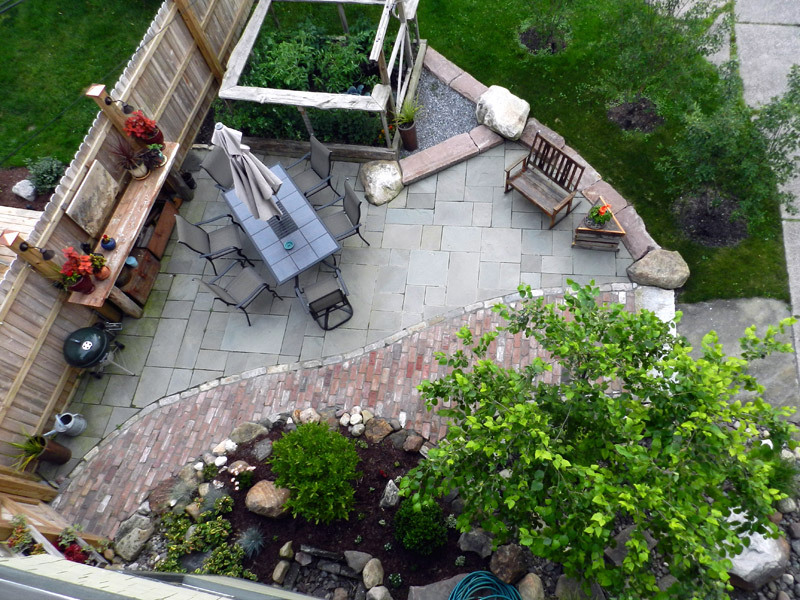 Nestled just off of a busy city street, this Buffalo backyard oasis provides the home owners with a daily escape. 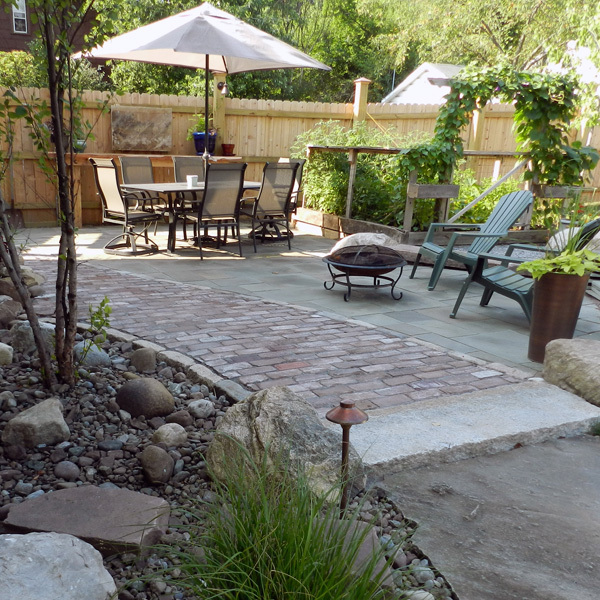 The eclectic flagstone patio is accessible via a reclaimed street paver walkway. 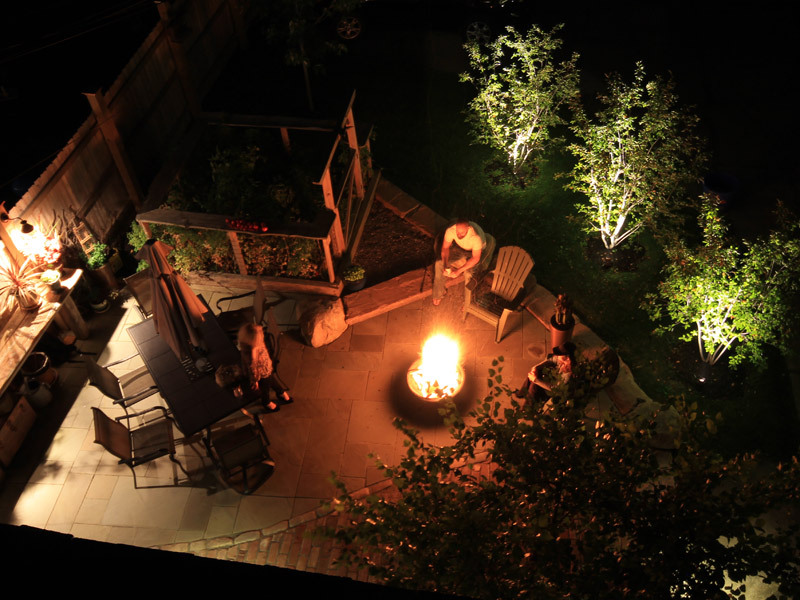 Large scale boulders, raised vegetable garden, ornamental trees, and low voltage lighting extend the homeowners livable space into their outdoor area.